This wonderful scene shows the final stages of a very exciting Alexandra Plate challenge at Ascot race course in 1873. 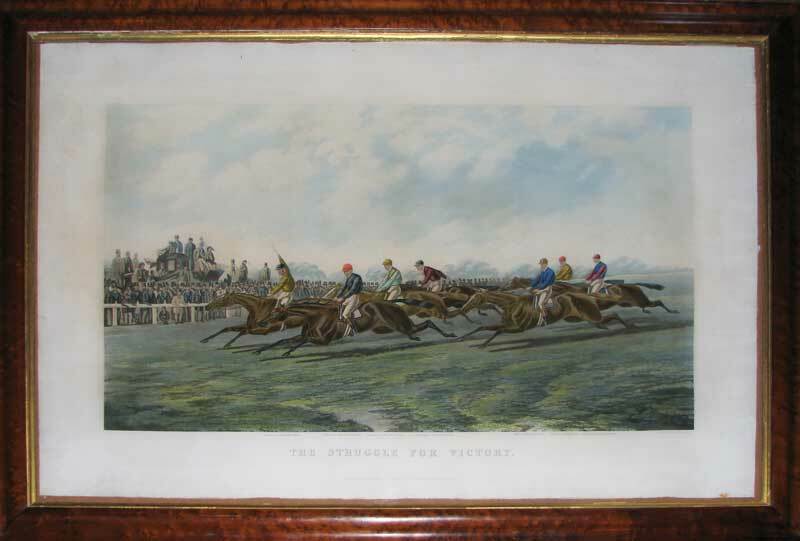 At the time Cremorne was four years old and had just won the Ascot Gold Cup so this print shows him at the peak of his racing career. In both races, the jockey was Charles Maidment, the trainer William Gilbert and the owner Henry Savile. He was a magnificent horse and remembered as one of the most successful colts of his generation.